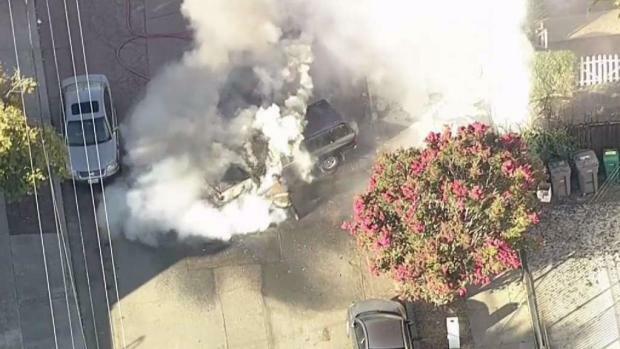 People in an Oakland neighborhood rushed to douse flames that engulfed a truck on Friday morning. The car was at the intersection of Lynde Street and Humboldt Avenue. 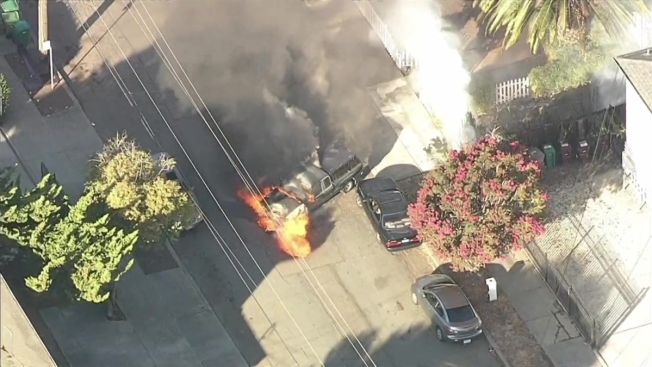 Oakland firefighters responded to the scene of the charred car from which a plume of smoke billowed into the air. A resident aimed a water hose at the car, while someone else sprayed it from a nearby house's window.